Sierra 5.3 had the most liked content! Did the dealer leave my TCM unlocked?? Is their any visible rust yet? If not, check it in a few months again and see. 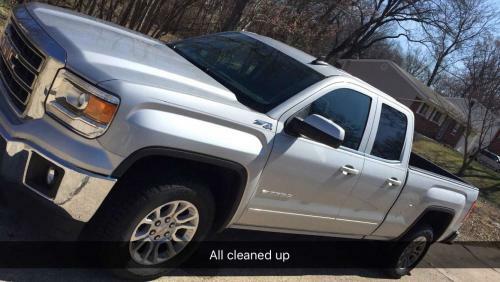 I have a 2015 Sierra and so far it has held up really well. I had a 2014 Silverado prior and it had rust when I purchased it. So it isn't consistent across every truck. 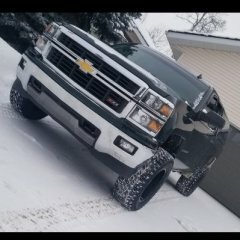 New truck! But a major question???? Do it for the piece of mind alone. I've been hit there too, and only had minor scrapes on the plastic and under the bumper. I didn't care much, still have the truck. The other driver was stressed out so I took some good karma and let him on his way. I drive off-road occasionally and parents live on gravel, so it's going to get scrapes thus why I didn't care. But for your sake, let them look it over. Seems that way you will feel better about it. It's your truck, do what makes you sleep better at night. Which system/muffler do you have? Did you clean the sensor before re-installing it? I appreciate the insight. It is definitely going to be a challenge. I don't like to cut corner's and I am one who knows to do it right the first time. Too many times redoing something I should have done in the first place so i don't do it anymore. Yes! Landscaping is going to be one of my bigger tasks to accomplish. My yard is a mess and doesn't have much grass so I am trying to reseed but the weather hasn't cooperated much. I will need to change up the retaining wall as well and looking to add onto the back patio and get rid of some of the grass/dirt that doesn't get much sun so it doesn't grow well. It's going to be a lot of time and money i have a feeling, but in the end looking to add a shed, gazebo, and fire pit. Should look good and raise the value. It will all be a learning experience for sure. I agree. I recently took a trip with two large coolers loaded with beer and ice and some other gear and the ride was much better. A lot less rebound on bumps. Mine does the same thing. I have just gotten use to it. I will use 4auto as well in the rain at times. This is only the case when turning from a side street into a heavy traffic road. It's not fun losing traction during rush hour. FYI, this was posted in the wrong section I believe. I doubt you get many hits in the garage & Home section. I would move to the designated truck section or modification section. It gets more traffic. Can't say I am a fan.